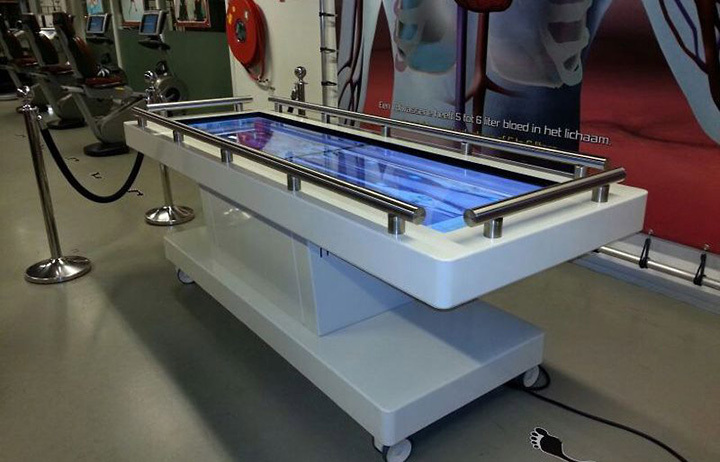 CORPUS celebrated its fifth anniversary with the world premier of a digital “dissection table”, which was made by diz. On 14 March 2013 it was exactly five years ago that Queen Beatrix, together with Henri Remmers, the initiator of CORPUS, started the first “journey through the human body”. The five-year jubilee was celebrated by the unveiling a new exhibit, specially developed for CORPUS. 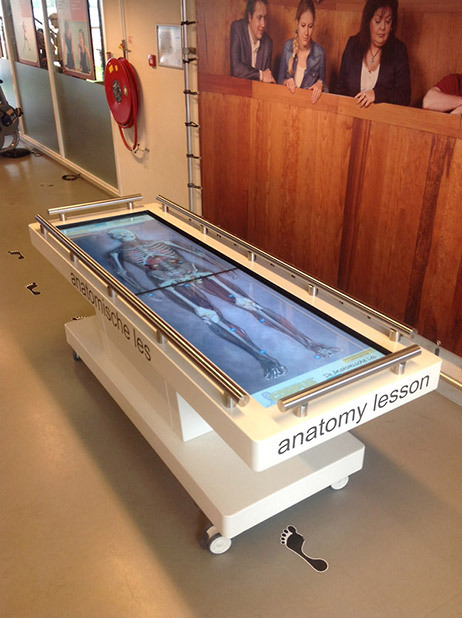 In the Medical Infotheque, the interactive section of CORPUS, a new exhibit was installed in the context of the jubilee: “The Anatomy Lesson” On this digital “dissection table” visitors can interactively learn more about human anatomy. The digital animated “body” can be analysed in detail: visitors can “remove” skin and muscle tissue themselves, revealing the bones and organs. 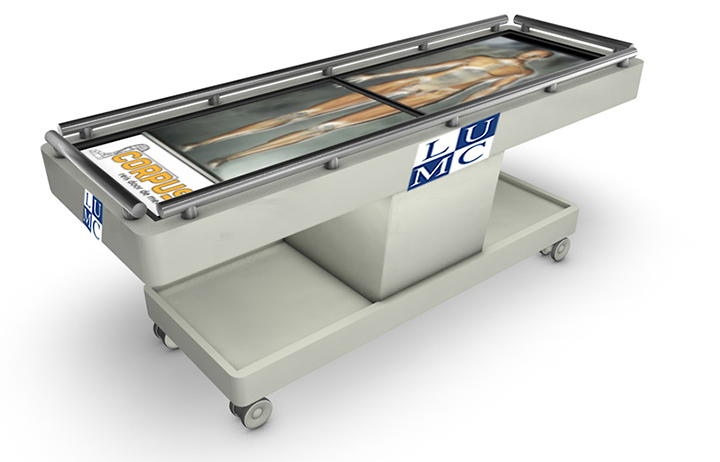 More information is given on the major organs, and some of them can be rotated as 3D models and enlarged. 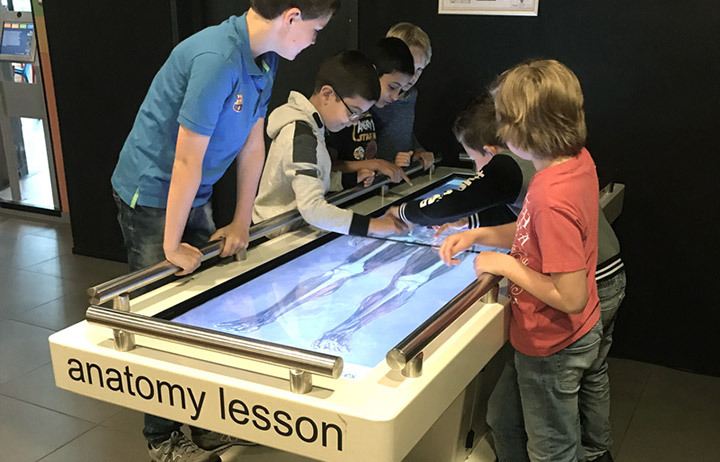 The exhibit also includes a quiz, so that visitors can immediately test the knowledge they have gained from the “journey through the human body” and the “anatomy lesson”.